If you’d like to sell, manufacture or distribute beer, wine or liquor in Florida, you have to undergo a licensing process with the state Department of Business and Professional Regulation. Only after you obtain a liquor license in Florida, you are allowed to legally engage in alcohol sales. There is a quota for liquor vendors in the state, so the number of retail licenses is fixed. Whenever a county grows with 7,500 residents, a new quota number can be added. In order to obtain a full retail license, you should either buy an existing one from another business or individual, or win a license from the yearly lottery. Below you can find detailed information about the license types that you can obtain, as well as about getting the required alcohol bond that is one of the main requirements for licensing. There are a number of different kinds of licenses for vendors of alcoholic beverages in Florida. Each of them allows conducting various activities involving the sale of alcohol. Each license type requires various fees. You can consult the guide on the cost of your Florida liquor license, as well as the full list of license types for further information. Once you’ve identified the type of Florida liquor license that best suits your business plans, you should get familiar with the requirements that you have to meet. They vary, since there are significant differences between the license types. You can find further details in the Instructions for the Application Form 6001. Once you’ve gathered all necessary documents, submit them to the Department of Business and Professional Regulation’s Division of Alcoholic Beverages and Tobacco for review and approval of your licensing. In order to obtain your Florida alcohol license as a manufacturer or distributor, you have to provide a surety bond as a part of the procedure. The bond serves as an extra layer of protection that you will pay any taxes you owe incurred in the activities under your license. The bond amounts that you have to post will vary depending on the license type that you apply for. In order to get bonded, you have to cover a small percentage of the required amount called the bond premium. This is your bond cost, which depends on the strength of your personal and business finances. It is typically between 1% and 3% for applicants with a solid financial profile. 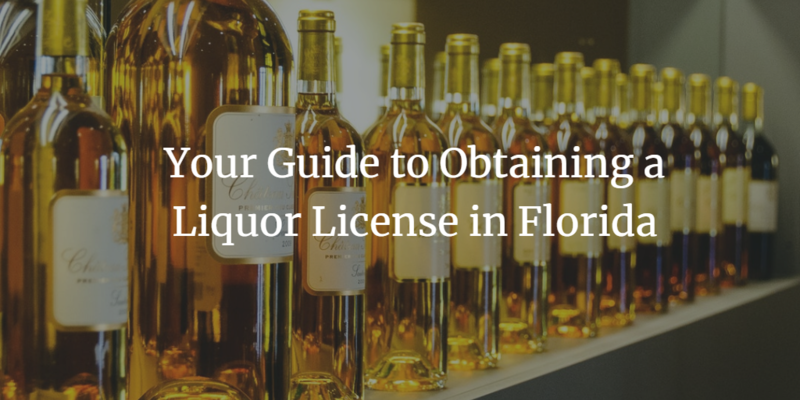 Have further questions about the licensing and bonding process for liquor vendors in Florida? Don’t hesitate to contact us at 877.514.5146.